Hi ub40 mug made at Staffordshire pottery. 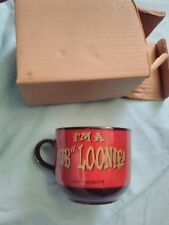 These never made it to the shelf's for the public. Grab yourself a bargain. A Pro Kit 62 eight channel mixing desk which was used at Bob Lamb’s Highbury Studios, Birmingham. th September 2018, having been consigned by the current owner of Highbury Studios. Two of the level sliders are missing and there is general wear and tear on the surface. Personally signed by Astro on the back after the concert and from my personal collection. Here you will find just a small amount of my major collection. Poor – Is heavily worn, has many pinholes, large tears & creases or may have many holes and large & small pieces missing and major fading with lots tape, stains and may have writing, would need restoration. Title : "Stoned Love -UB40, Signing Off". A stunning new art print inspired by the seminal 1980 debut studio album `Signing Off` by UB40. From our ` Stoned Love ` print collection, limited edition of 295. (Bands often had passes laminated as needed, a few of these escaped before they got to the lamination process). UB40 Labour Of Love 3 TOUR PROGRAMME 10"X12" Colour 1999 World Tour Programme. Artist: UB40. WEAR TO SPINE. Title: LABOUR OF LOVE 3. 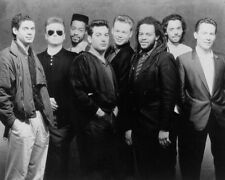 As part of UB40, Campbell sold over 70 million records worldwide and toured the globe for 30 years. 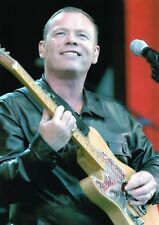 In 2008, Campbell left UB40 and embarked on a solo career. In 2012, Campbell was announced as one of the three judges on the judging panel of the TV show, IN NEW ZEALAND. 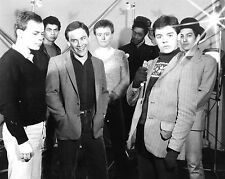 Original Press Promo Slide Negative - UB40 - 1980's - Good condition. UB40 and CHRISSIE HYNDE - I Got You Babe. I GOT YOU BABE. I GOT YOU BABE (dub version). So Grab it While you Can!